On 16 February 2019, the European Leadership Network and the Federation of German Industries [BDI] hosted a high-level closed roundtable breakfast at the Munich Security Conference [MSC] under the co-chairmanship of BDI President Prof. Dieter Kempf and ELN Chairman Lord Browne. Opening remarks were given by Dirk Hoke, CEO of Airbus Defence and Space, Camille Grand, NATO Assistant Secretary-General for Defence Investment, and Andrew Winternitz, Principal Director for Europe and NATO Policy at the United States Department of Defense. Following the successful ELN-BDI side-event at the 2018 MSC, this year’s event progressed the debate on European strategic autonomy by assessing the implications for defence industry. Participants shared their visions and judgements on what was possible in the months and years ahead. The event was held under Chatham House rule. Participants were encouraged to focus on what “strategic autonomy” means in practice and how it could effectively provide the European Union with more capable and separable forces – an arguably contentious agenda perceived by some to be protectionist, autarchic, and anti-NATO. In the defence industry, the quest for greater autonomy aims to provide better value for money through multinational procurement and the reduction of European dependence on third countries for key components. Participants agreed that European defence cooperation has the potential to be a “good news story.” But the “good news” of rising expenditures and new EU tools need to be confirmed by actions, not words. National parliaments should vote the increased defence budgets and Member States must invest more political will and industrial commitment into the Permanent Structured Cooperation [PESCO] and the European Defence Fund [EDF]. In the meantime, the risk of Europeans failing to deliver meaningful results remains. 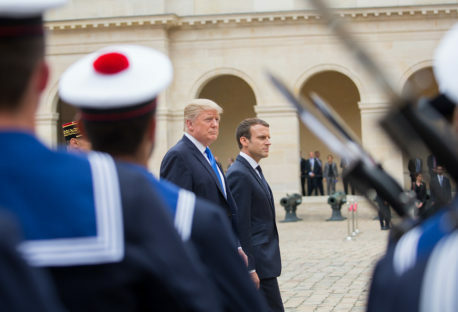 It was discussed how the quest for European “strategic autonomy” is perceived and could be influenced by debates on both sides of the Atlantic. On issues such as the “European army” and the end goal of EU efforts, misunderstandings are hard to dispel. 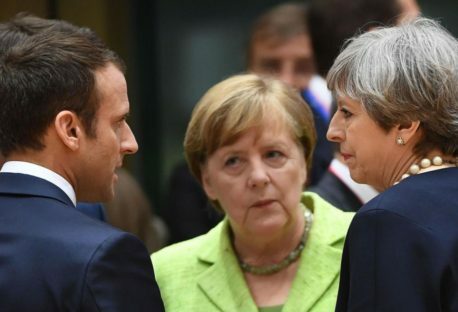 They add to long-standing disagreements, such as how third states such as the United States – and soon the United Kingdom – should plug into new EU tools; how the EU and NATO should work together; and how autonomous European defence industry can and should aim to become. There is American wariness over the direction of EU efforts. However, participants did not agree on the extent to which these concerns present a high-risk for Europe. While some noted that the 2019 US congressional delegation to the MSC was the biggest in its history and good for transatlantic relations, there was unease over the rhetoric and actions coming out of the White House. Some lamented the current lack of US support for European initiatives, noting there was little substantial difference between today’s talk of “strategic autonomy” and what was encouraged by the US for more European “autonomous action” in the early 2000s. Over the last two years, the EU has been setting up an end-to-end capability planning system (Capability Development Plan [CDP] and Coordinated Annual Review on Defence [CARD]) which forms a complementary yet separate addition to NATO’s Defence Planning Process [NDPP]. Participants agreed that EU investments should tackle practical issues such as infrastructure, readiness and mobility rather than focusing on grand “vanity” procurement projects. It was agreed that the EU has a legitimate role to play in regulating and consolidating European defence industry, making it more competitive with third countries such as the United States. It was also agreed that US-Europe military interoperability should be preserved at all costs. However, participants were divided over whether current EU efforts presented a threat or an opportunity for transatlantic security. Arguing that NATO cannot afford non-standardisation, several expressed concern over European complacency on interoperability, suggesting that PESCO projects should adopt NATO standards. By contrast, others were less concerned about interoperability and argued in favour of a more sophisticated conversation on duplication, noting that the real issue is unnecessary duplication which wastes resources and risks weakening interoperability. That said, it was argued that duplication can strengthen the Euro-Atlantic security relations, thus making European forces more capable and separable – a goal shared by the United States. For example, if access to navigation services such as the US GPS system were to be degraded, the EU’s Galileo geo-location satellite system would provide the Alliance with added resilience. From the perspective of the European defence industry, the past two years have had several positive developments at the EU level. The recent increase in European defence expenditure is expected to further benefit industry, thus leading to deep industrial and political discussions on both sides of the Atlantic as strategic procurement contracts are negotiated. Significantly, several participants considered the nature of the transatlantic defence industrial market to be unsatisfactory. Europeans want to avoid unnecessary duplication, preserve interoperability, and collaborate industrially with the US. But the reality painted by some is of an incomplete and unbalanced partnership, with limited sharing of technology (on the Lockheed Martin F-35 fighter for example) and little prospect of cooperation with the US on Artificial Intelligence – despite American calls for Allies to jointly address the technological threat from China. An honest conversation needs to take place as to what an industrial partnership with the US should entail. When it comes to European defence industry, discussions on competitiveness should be balanced with managing expectations. It is challenging for European companies to compete and invest in Research and Development with limited means and a small market. If they are to achieve the same levels of efficiency as the US, Europeans should work together to be competitive on various technologies. This would also enable them to become more reliable partners. However, intra-European discussions present their own challenges, from national preference to disagreement over arms export regulations. These tensions are also rooted in the differing strategic cultures of European states and will thus require compromise from all sides to move forward. A lack of access to EDF funding, limitations over Intellectual Property ownership, and no-say in export rules for the end-product may hinder the inclusion of non-EU states in PESCO projects. All participants noted the importance of framing new EU regulations the “right way,” with attention to detail when it comes to distributing EU funds and involving third states. Indeed, some argued that new tools such as PESCO have potential but should be established according to NATO priorities and should be accessible to all Allies: Europeans should not risk weakening the transatlantic bond by excluding non-EU NATO Allies from industrial projects and only relying on a smaller European pool of expertise. On Brexit, several participants argued that the EU’s stance was too tough and that concerns over setting a precedent should not be a reason to exclude the UK, as this would weaken all parties involved. It was noted that the Brexit debate, particularly regarding security and defence, was not over and the key would be how EU rules are set and applied. 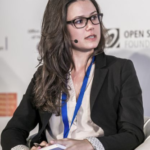 Several participants, whilst recognising European limitations, argued that with enough transparency and priorities focused on the right set of capabilities, EU third state policy should not be an obstacle to European and transatlantic partnerships. 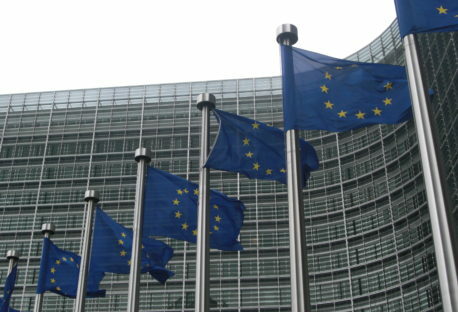 It was noted that the EU is likely to differentiate between the rules for cooperating with EU initiatives and the rules for participating in EU initiatives – with tighter regulations to access funding from the EU budget. Yet all recognised that getting the level of third state involvement right will remain deeply contentious. What lies at the heart of defence industrial collaboration is commercial competition between states and an unwillingness to pool sovereignty on defence industrial matters. The discussion exposed the key issues and main tensions surrounding the EU’s increased defence efforts and the European progression towards more strategic “autonomy.” Although states’ industrial interests are likely to diverge, creating inevitable tensions in the short-term, these should not be allowed to poison transatlantic relations. Allies on both sides of the Atlantic must ensure that recent initiatives and new expenditures lead to a greater European capacity to act and contribute to fairer burden-sharing within NATO – thus constituting a win-win for all. Both organisations are grateful for the outstanding quality of the speakers and participants and for their many excellent contributions.